It is a National Energy Guarantee. Prime Minister Malcolm Turnbull: "No more industry policy, no more picking winners, no more favouring one technology after another." CANBERRA -- Goodbye 'Clean Energy Target', we did not even know you. Describing it as a "game changer," the Turnbull Government has dumped the Chief Scientist's suggestion of a Clean Energy Target (CET) mechanism for investing in new power and will instead pursue lower power prices by allowing the phasing out of renewable energy subsidies and bolstering baseload power in introducing a National Energy Guarantee (NET). Prime Minister Malcolm Turnbull announced a new "pro market" energy plan, which has been ticked of by Cabinet and the joint government partyroom on Tuesday, saying it will deliver "affordable and reliable electricity". "Your power bills are too high, and rising too fast," Turnbull said in the video, selling the plan and later told reporters in Canberra that "what we have today is a game changer". "This is a national energy guarantee that will ensure that we have affordable power. That is reliable. We keep the lights on and we can afford to keep them on, and that we meet our international commitments under the Paris Agreement to cut our emissions." "In other words, it delivers affordability, reliability and responsibility." The key is that coal, gas, hydro and biomass will be rewarded for their "dispatchability", or the required amount of power on demand, while wind, solar and hydro will be recognised as lower emissions technologies, but they will no longer be subsidised. The National Energy Guarantee is a two part direction to energy retailers across the National Electricity Market to use a required percentage of electricity from so-called dispatchable sources such as coal and gas, batteries or pumped hydro. An emissions guarantee will be set to contribute to Australia's international commitments. The level of the guarantee will be determined by the Commonwealth and enforced by the Australian Energy Regulator (AER). The Government cites an estimate from the Energy Security Board, which recommended the NEG, that "typical" household bills will fall by an average of $110-$115 per year over the 2020-2030 period. Although this is early analysis and further modelling will be undertaken by the Australian Energy Market Commission (AEMC). Energy Minister Josh Frydenberg described the policy as "credible" and "pro-market". "It means no subsidies, no taxes, no trading systems," he told reporters. Renewable energy is not being disregarded, but Turnbull equates subsidies with ideology and said the Government scheme designed to reduce emissions of greenhouse gases in the electricity sector, the Renewable Energy Target, which is due to end in 2020, "will be, in effect, filled by 2020". Government chief scientist Alan Finkel appeared to back the plan in a press conference on Tuesday afternoon. He acknowledged that the idea of a 'clean energy target' had not been adopted, but also that he never technically recommended one in his review of the nation's energy system. "There's always more than one way to skin a cat and 49 out of the 50 recommendations were very rapidly agreed to, there was one that was awkward for various reasons," he said. "[A clean energy target] is bullet point number two out of three bullet points and it's not even introduced as a Clean Energy Target, it introduced as the need for a credible mechanism. There are multiple ways of achieving a credible mechanism." "On the surface of it, it looks to me like something that it will be absolutely capable of achieving the goal, which is to give a tool to the operator to make sure we get the lower emissions generation coming into the market." The PM also notes wind and solar are now financially competitive with new builds of thermal power and the Government must "not pick winners". "So there is no need for a subsidy. In other words, they can compete on a level playing field," he said. Labor wants to see the modelling. Labor leader Bill Shorten attacked the new policy in question time as no guarantee of lower consumer power prices, asking Turnbull, "when can the Prime Ninister guarantee Australians that the cost of their power bills will go down?" 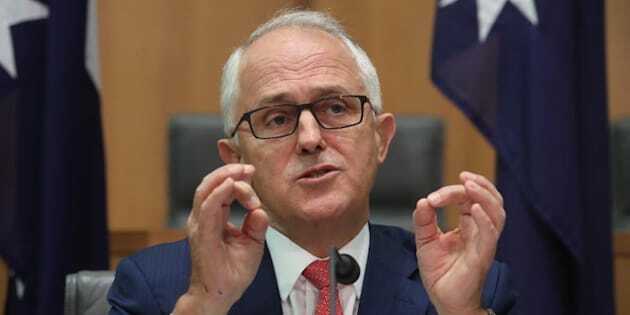 An energised Turnbull backed the formal advice from the Energy Security Board and said the Government had arranged for the Opposition to have a briefing. "We encourage them to get on board and adopt this expert recommendation that for the first time will level the playing field, end the subsidies, end the taxes, and ensure that we have a genuinely technology-agnostic energy market that enables us to have energy that is affordable, reliable and responsible," he told parliament. "That is what Labor should support. Stop the nonsense about their claimed bipartisanship and get real and get on board with the plan that guarantees Australia's energy future." Form prime minister Tony Abbott, who has been advocating a rejection of the CET, has claimed credit but wants more. Progress at today's party room. The Clean Energy Target has been definitively dropped. One Nation has also claimed credit.